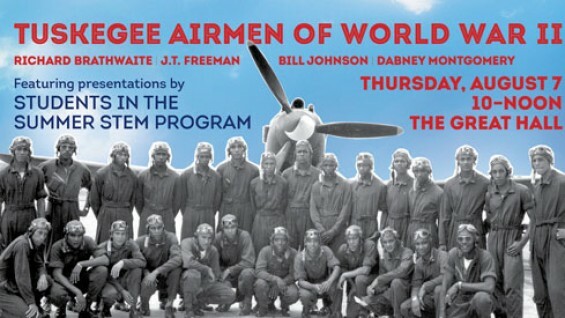 Four surviving Tuskegee Airmen, the first African-American military pilots who were instrumental in ending segregation, will be honored at the Great Hall on Thursday, August 7 from 10 AM to noon. The event, which is open to the public, will include presentations by students from the STEM Takes Flight program, an innovative 6-week summer program that uses aeronautics to teach high school sophomores and juniors physics, math, geography, and earth science. During the course, students use flight simulators lent by Jay LeBoff, Chief Executive Officer of Hotseat Chassis.